Ken King Thoroughbreds :: GOLDEN CASH & HELIDECK WIN MAKING DOUBLE DAY! 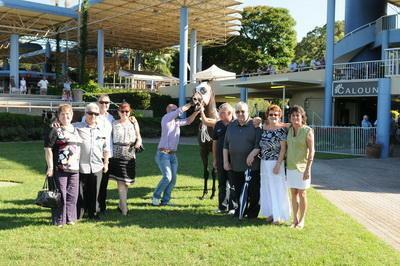 19th GOLDEN CASH wins a Class 2 over 1000m at Sunshine Coast today to win 1st up for new trainer Gerald Ryan. The win gave us a double on the day with HELIDECK winning earlier in the meeting. *Parador Park Bred. 17th VIENNA SNITZEL wins her 3YO SV Maiden over 1000m at Pakenham at her 2nd race start. Trained by Wendy Kelly and ridden by Dale Smith she led from start to finish in a tough front running display. Congratulations to our fellow owners Peter Jackson, Allen Ng, Grant Small, Dash McAllister as Manager WTCD Syndicate, Rodney Cairnduff as Manager JAR Racing Syndicate, D'Avril De Marte, Geoffrey Bourke, Hasan Karatas, Allan Blankfield, Paul Montebello and Manuel Montebello.